France has got a lot to offer. There’s no question about it. But how to choose from this wide range? 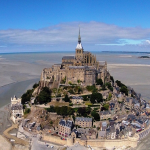 We have created a little overview of the must-see places to visit in France. 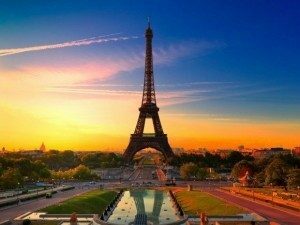 Certainly, Paris the most visited place in France. 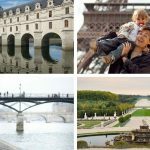 The City of Lights invites everyone who is planning to do some sightseeing, those who are interested in culture, art and architecture as well as guests who just wish to go out and have a good time. The surrounding area around Paris should be mentioned. For example, you can go to Versailles and visit the breath-taking castle of the former French kings and its marvelous gardens. For those who feel like having a bit more action can visit Disneyland. In the Northeast of France, the Champagne region is most famous for its production of fine sparkling wine – the real Champagne. Wine lovers can visit vineyards and wine cellars or participate in wine and Champagne tastings. Reims is one of the cities in the Champagne region with several monuments designated to the UNESCO world heritage, like its giant cathedral. Especially for those who are interested in medieval traces, the castles in the region are worth a visit, for example the Castle of Sedan. 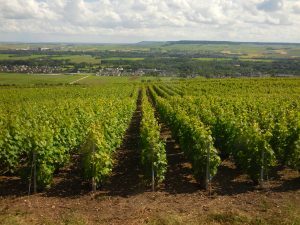 On top of that, the landscape of the Champagne region is particularly charming because of its many lakes and forests, for example in the natural park Montage de Reims. There are even limestone caves tourists can visit. 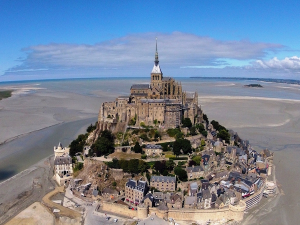 Apart from beaches, cliffs and museums, you can visit Mont Saint-Michel – a small fortified town on a tidal island on the coast of Normandy. Don’t miss visiting the Abbey and the winding alley of the town below. 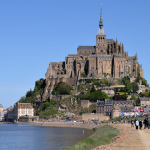 Learn more about Mont Saint-Michel here. Located in the region of Alsace, Strasbourg is the capital of Europe and seat of the European parliament with numerous museums. Besides, the Roman-gothic cathedral is one of its most important sights. 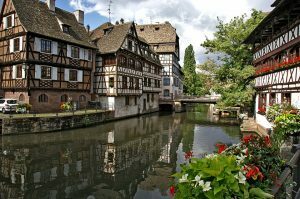 The architecture of Strasbourg is particularly charming because of the great number of half-timbered houses of Alemannic and South German style. Since it there are two rivers, you can participate in a boat cruise to see all the monuments and sights. Especially in Christmas time, the center of Strasbourg enchants with its Christmas markets. This region captivates tourists with breath-taking landscapes, ancient castles and fortresses, old villages and impressive monuments. For example, you can visit the UNESCO-designated cathedral in Nantes. 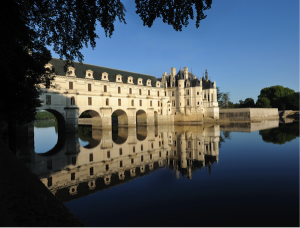 Learn more about travelling to Loire Valley here. 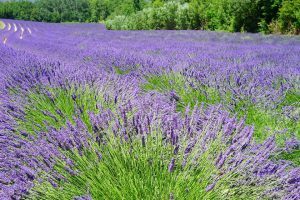 Especially in summer, the Provence region in the south of France is worth a visit because of its amazing landscapes with olive trees and the fragrant lavender fields. The Provence region also has some wonderful cities. Marseille is the second biggest French city after Paris. Located on the shore of the Mediterranean Sea, it does not only offer culture but also magnificent beaches. If already in the Provence region, make sure you stop by Arles and Aix-en-Provence – two cities full of ancient Roman and medieval traces. 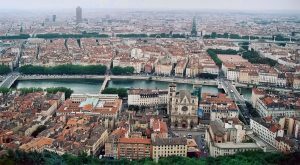 Located in the Southeast, Lyon is one of the best places to visit in France. It is the third biggest city of the country and its old town was designated to the UNESCO world heritage. Amongst other things, you can visit its religious buildings like the Saint-Jean Cathedral or the Basilica Notre-Dame de Fourvière. 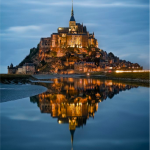 Don’t miss the capital of French gastronomy! Great chefs like Paul Bocuse left their marks on the regional cuisine of Lyon. The small restaurants serving traditional regional dishes attract lovers of good food from all over the world. The regional food is simple but exquisite using the huge variety of cheese, fish, vegetables and fine wines from all around the city. 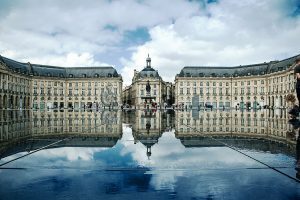 Bordeaux is probably most famous for the regional fine wine. It is the largest wine region in the world and offers a great deal of culinary delight. Besides, it is a university city and the political and intellectual center of the Southwest of France. The city has got a lot to offer – art, culture, museums and extraordinary architecture. Visitors are attracted by its impressive ecclesiastical buildings, for instance the Saint-André Cathedral. The French Riviera is certainly one of the most important places to visit in France! 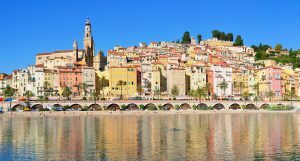 It is a popular destination for both French and foreign tourists because of its magnificent beaches and cities, such as St-Tropez, Cannes or Nice.